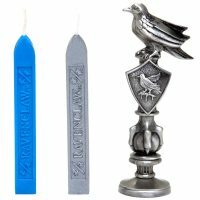 Seal private invitations, secret messages, or even just your electric bill with there Harry Potter Hogwarts House Wax Seals. 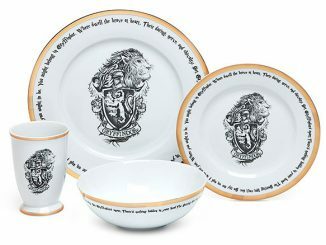 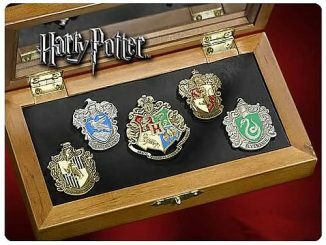 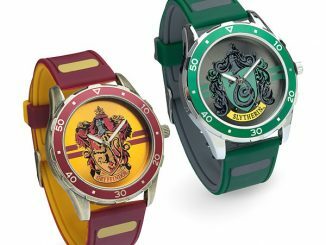 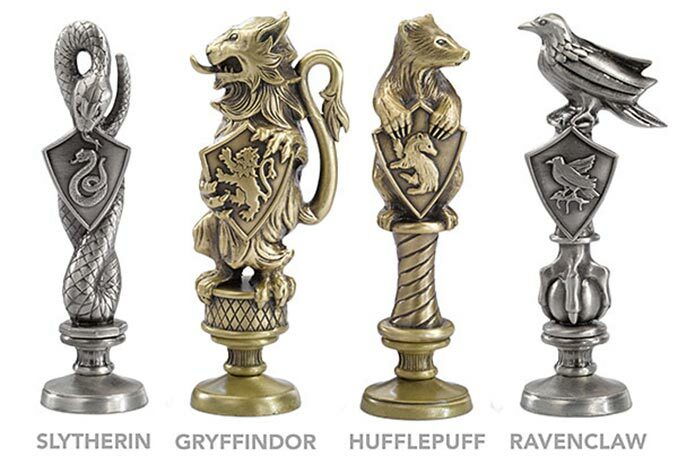 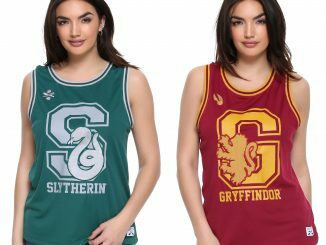 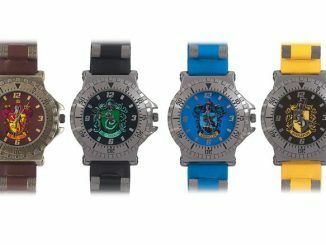 There is one for each of the Hogwarts Houses, so you are set no matter which house the Sorting Hat assigned you to: Gryffindor, Slytherin, Hufflepuff, or Ravenclaw. 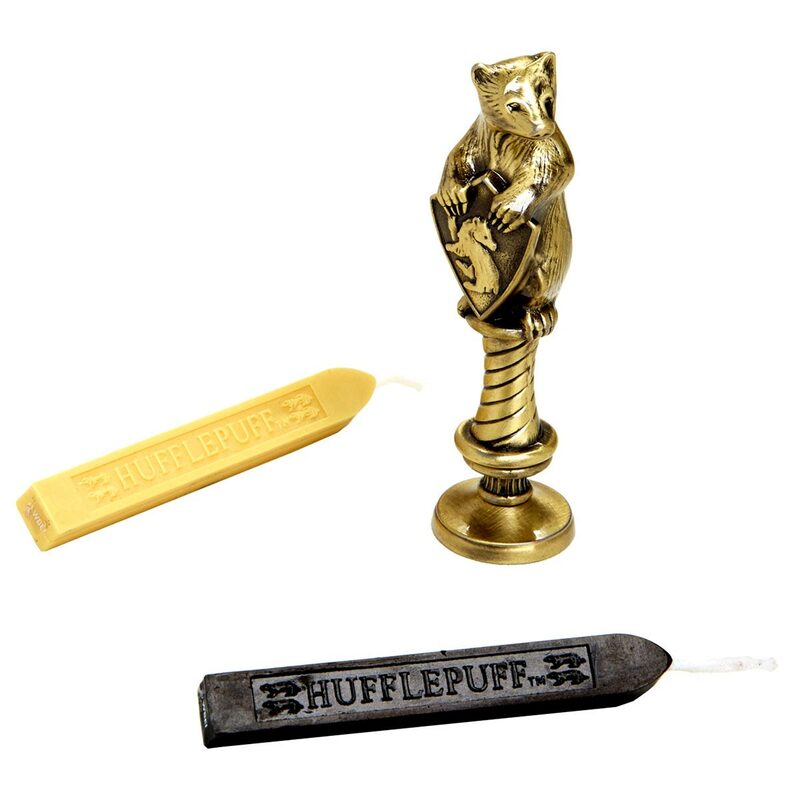 Each seal makes a House shield impression in melted wax. 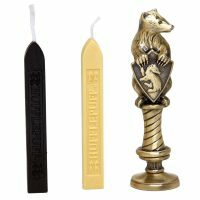 Made of diecast metal, the seals are about 4″ long and have impressive handles featuring the House mascot holding the shield. 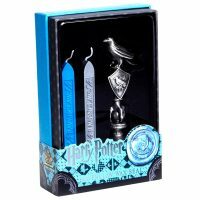 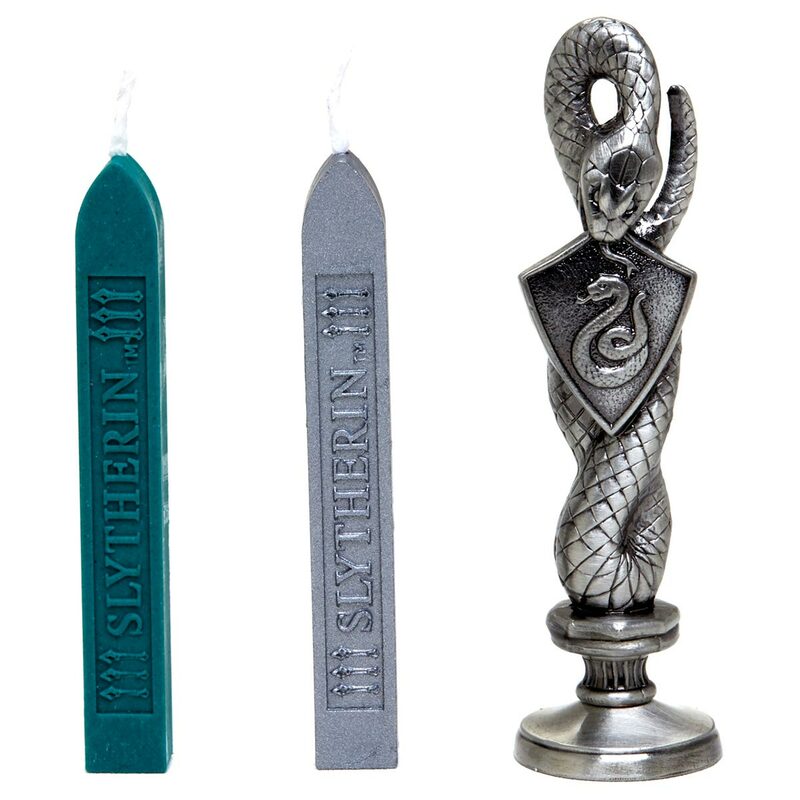 Each set also comes with two sticks of sealing wax in the house colors. 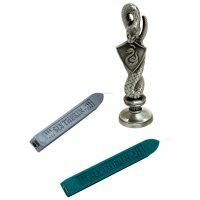 For those unfamiliar with sealing wax, it is really quite easy. 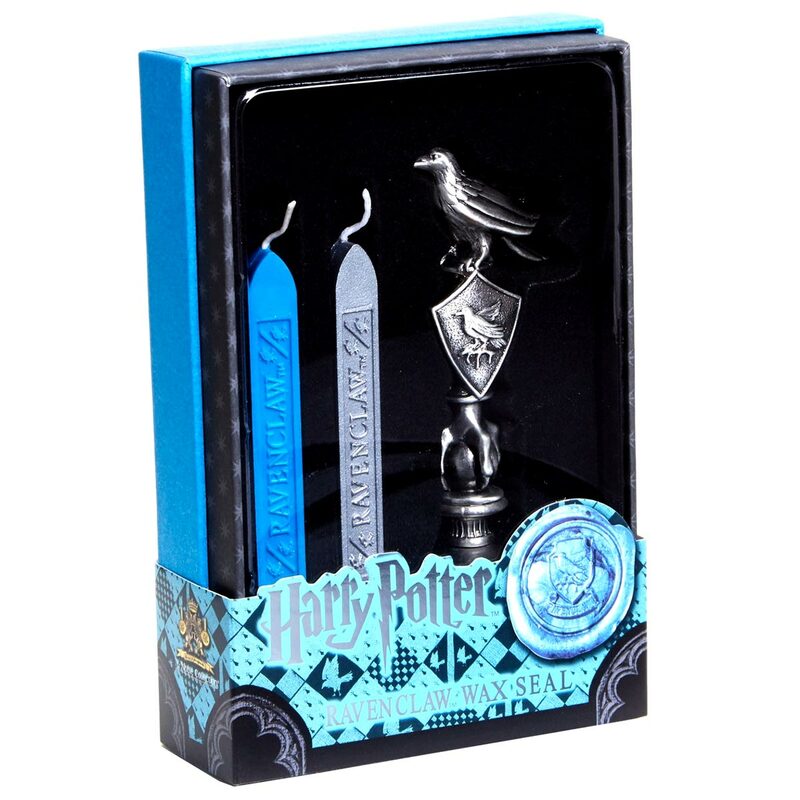 You take your letter and fold it or put in into an envelope. 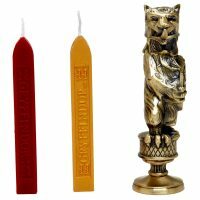 Then just light the wax stick (or a candle) and drip wax in the spot where you want the seal (such as the middle of the edge of the envelope flap). 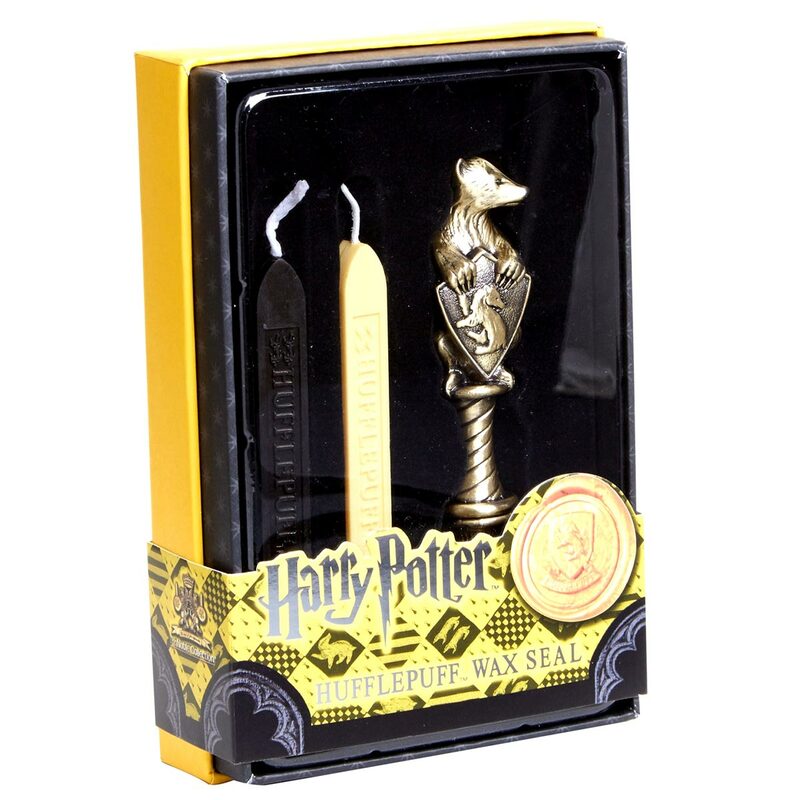 While the wax is still hot, press it firmly with the seal. 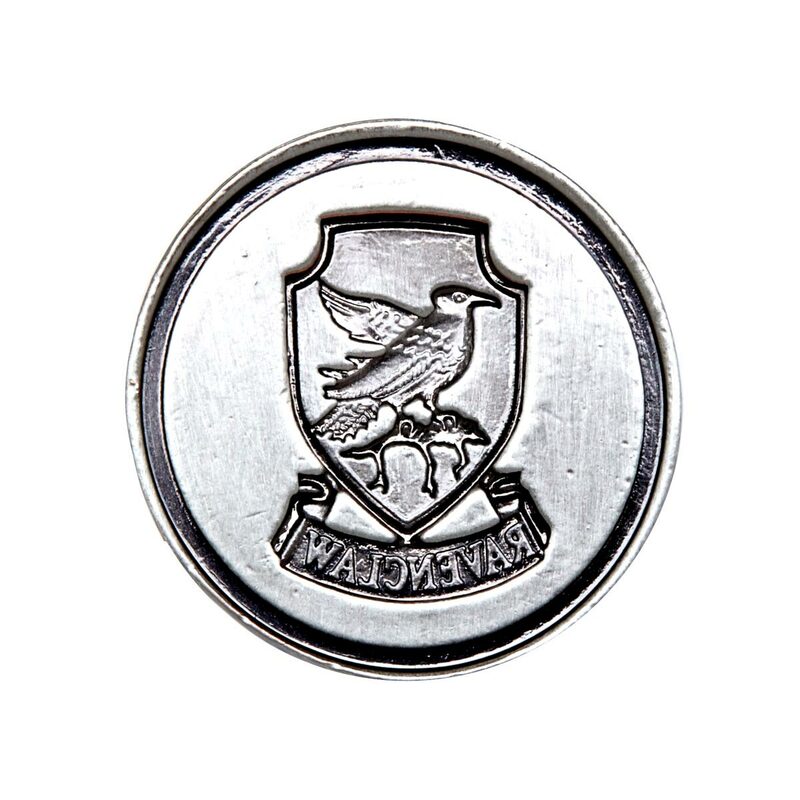 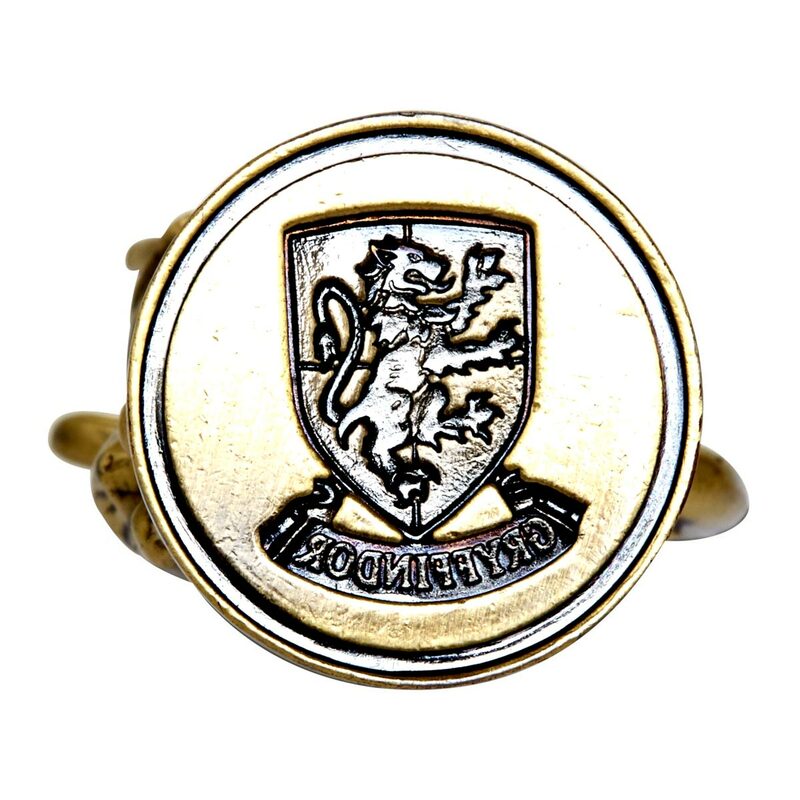 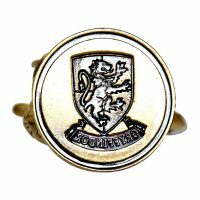 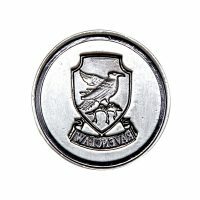 You’ll end up with a wax seal featuring the House shield. 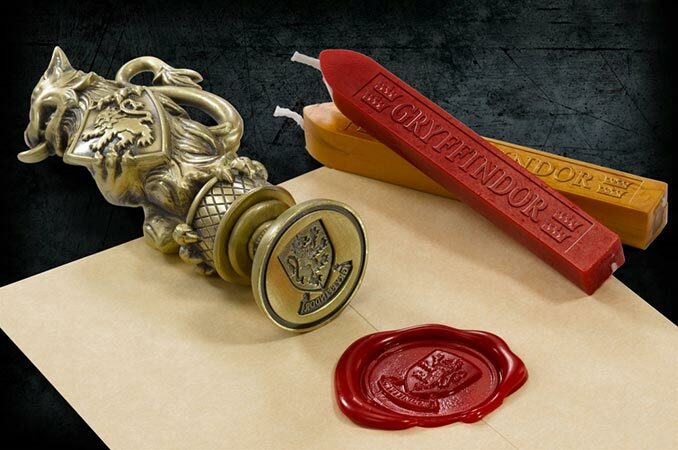 If anyone opens the letter, it will be obvious because the seal will be broken. 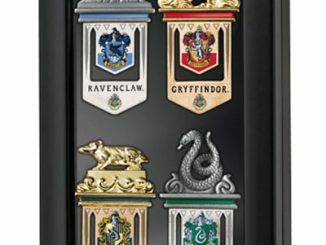 Make every letter you send have the magic of the first Hogwarts letter! 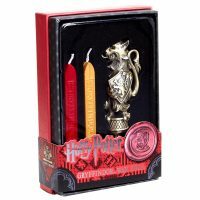 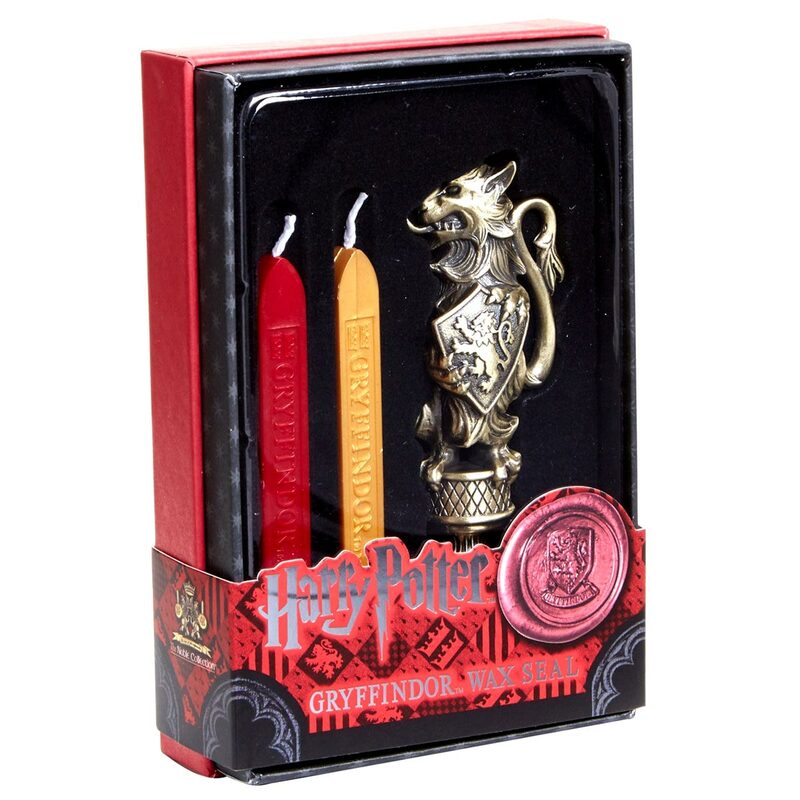 This wax seal kit comes with two wax sticks and a metal Gryffindor crest stamp featuring the Gryffindor lion. 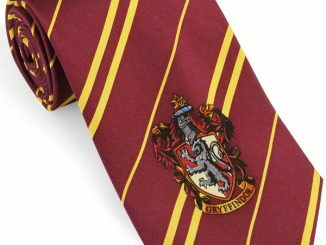 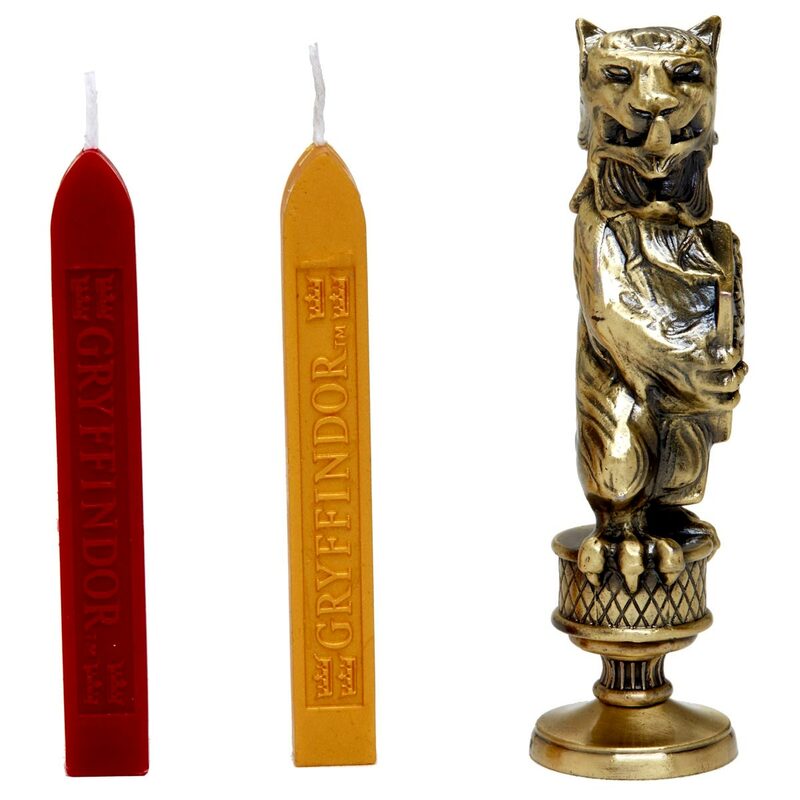 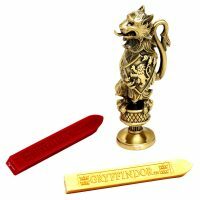 Buy the Harry Potter Gryffindor Wax Seal at BoxLunch or ThinkGeek. 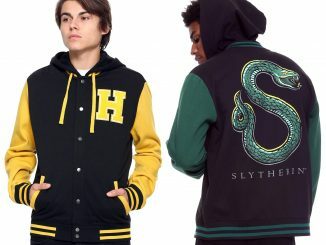 It lists for $29.99, but currently both sites have it on sale. 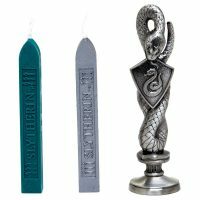 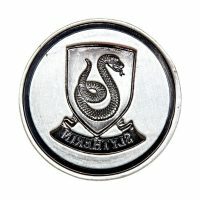 This wax seal kit comes with two wax sticks and a metal Slytherin crest stamp featuring the Slytherin snake. 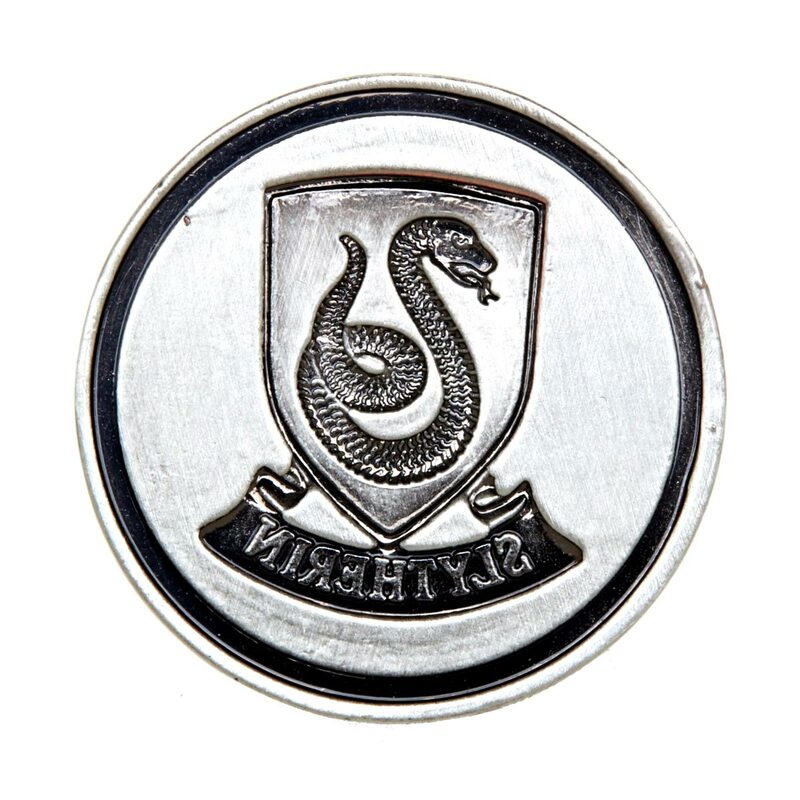 Purchase the Harry Potter Slytherin Wax Seal at BoxLunch or ThinkGeek. 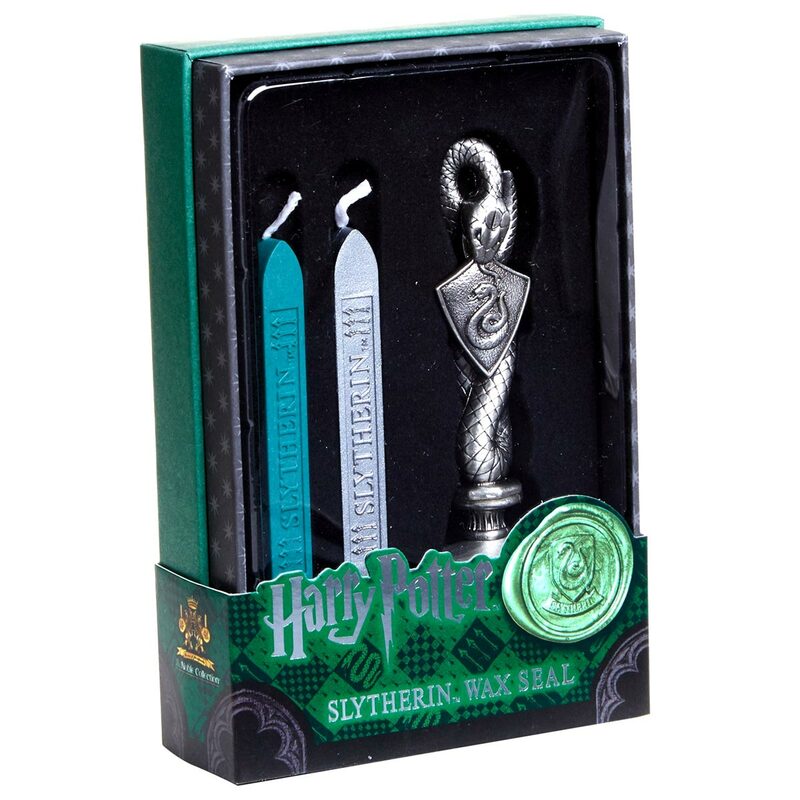 The MSRP is $29.99, but it is currently discounted. 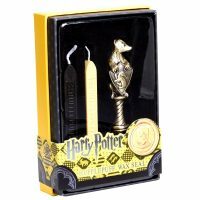 This wax seal kit comes with two wax sticks and a metal Hufflepuff crest stamp featuring the Hufflepuff badger. 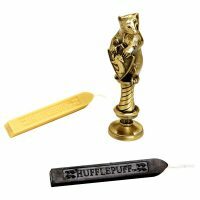 Buy the Harry Potter Hufflepuff Wax Seal at BoxLunch or ThinkGeek, where it is currently discounted off the $29.99 list price. This wax seal kit comes with two wax sticks and a metal Ravenclaw crest stamp featuring the Ravenclaw eagle. 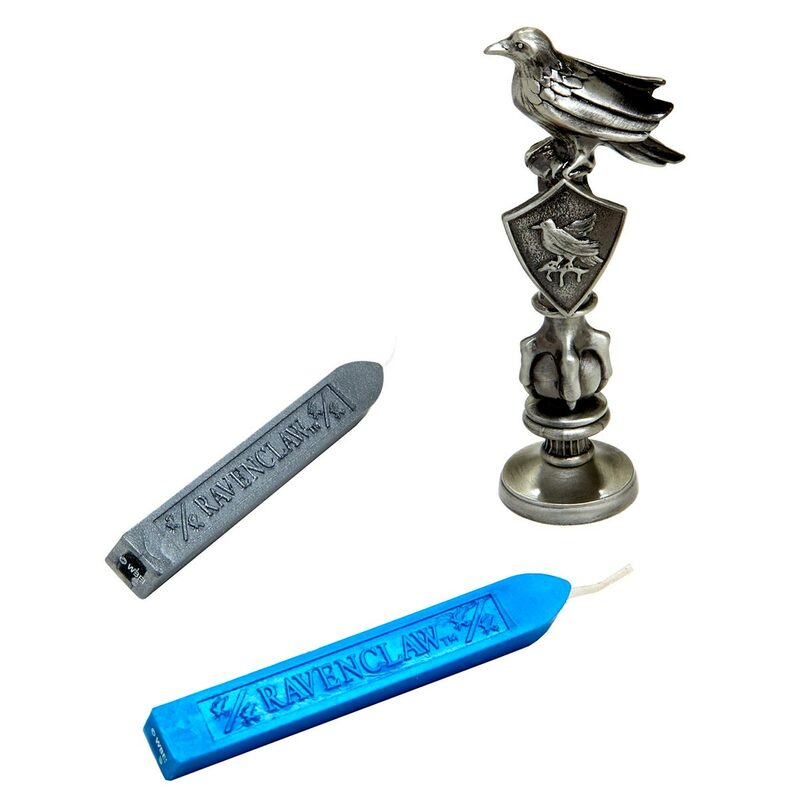 Find the Harry Potter Ravenclaw Wax Seal at BoxLunch or ThinkGeek. 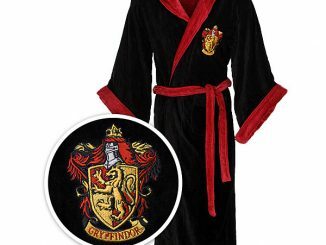 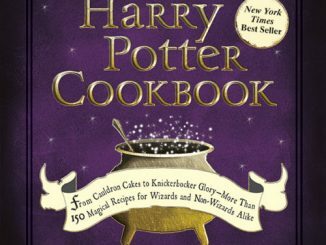 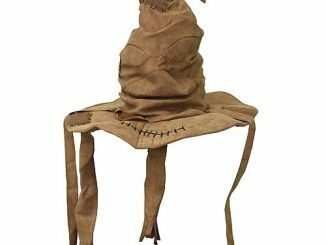 Like the other houses, this one lists for $29.99 and is currently on sale for less.